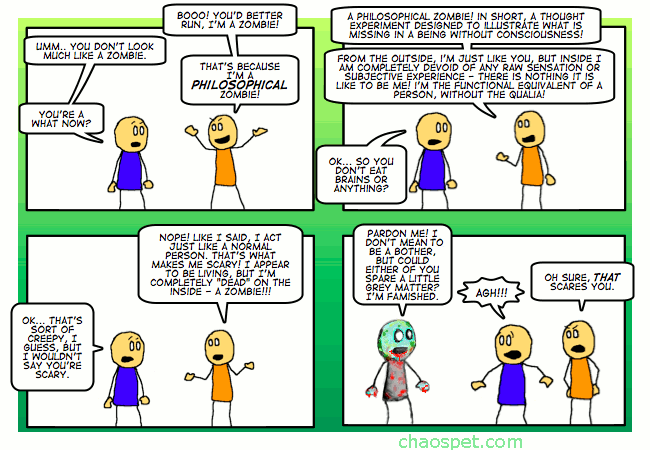 Philosophical Zombies (aka p-zombies) are one of my very favorite things in contemporary philosophy, so obviously they deserve a comic. Thanks, David Chalmers! That zombie colouring is freaking awesome! !